Almatti swells, raises hopes of dry AP districts. Heavy inflows into the Almatti dam in Karnataka have come as a glimmer of hope to hundreds of villages in Andhra Pradesh, who are waiting for water from Srisailam and Nagarjunasagar. 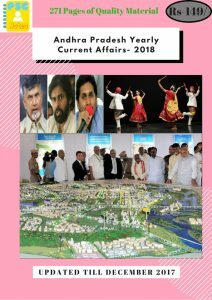 Srisailam and Nagarjunasagar, that cater to the needs of AP and Telangana had turned dry. The water level in Srisailam dipped to a 50-year low, leaving just around 20 TMC of water in the project. The poor levels in Srisailam forced both AP and Telangana to wait for additional inflows to Almatti before utilising the water available in Nagarjunasagar for drinking water needs. The district administrations of Prakasam and Guntur have already sent an SOS to the state government to release water from Nagarjunasagar. India’s largest autonomous public organization Council of Scientific and Industrial Research (CSIR) ranked ninth in the world. The institute has been ranked ninth amongst a total of 1,207 government institutions, according to the Scimago Institutions ranking World Report 2017. It is the only Indian organization which has found a place amongst the Top 100 Global Institutions. The ranking was topped by theChinese Academy of Sciences. 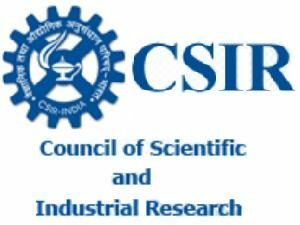 The Council of Scientific and Industrial Research(CSIR) was established by the Government of Indiain 1942 is an autonomous body that has emerged as the largest research and development organisation in India. It runs thirty-seven laboratories and thirty-nine field stations or extension centres throughout the nation, with a collective staff of over 17,000 workers. Its Chairman is Prime minister of India. The National Nutrition Week will be observed throughout the country from 1st to 7th September. The theme of the National Nutrition Week for 2017 is “Optimal Infant & Young Child Feeding Practices: Better Child Health”. The basic objective of this annual event is to intensify awareness generation on the importance of nutrition for health which has an impact on development, productivity, economic growth and ultimately National development. As, improving the nutritional status of the population is imperative for National Development. Under nutrition in young children continues to be a major public health problem in India. The NFHS4 has not shown an encouraging improvement in the nutritional status, especially among women and children. As per NFHS-4 the level of underweight has decreased by 6.8% and is stunting by 9.6%. Level of anaemia has decreased by 11% as compared to NNHS-3 figures. ISRO launched the IRNSS-1H into orbit using the PSLV C39 rocket, but failed. IRNSS-1H is India’s 8th navigation satellite in the IRNSS series. This happened after the heat shield failed to separate in the fourth stage. The satellite had blasted off in the Polar Satellite Launch Vehicle from Sriharikota, Andhra Pradesh. The launch took place from the Second Launch Pad (SLP) of the Satish Dhawan Space Centre (SDSC) SHAR. IRNSS is a part of NavIC or Navigation Indian Constellation. NavIC is designed to provide accurate position information service to users in India as well as a region extending up to 1500 km from its boundary. 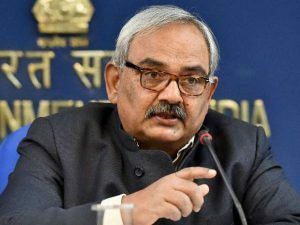 Senior IAS officer Rajiv Mehrishi appointed as the next Comptroller and Auditor General (CAG)of India.He succeeds Shashi Kant Sharma. Mehrishi is IAS Officer of 1978 batch and belonged to Rajasthan cadre. He has a degree in business administration from Strathclyde Business School, Glasgow. He also did BA (History) and MA (History) from St Stephen’s College, Delhi. His tenure period is 6 years or up to age of 65 years, whichever earlier. Removal of CAG is as difficult and similar to removal of a Supreme Court Judge. CAG is not be eligible for any office under GOI post-retirement. CAG suggests the account keeping of union and state with the approval of president. 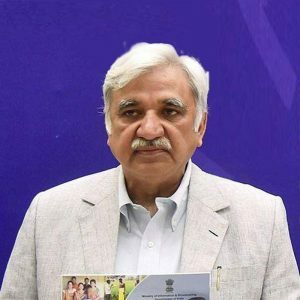 The Union Government appointed former Information and Broadcasting secretary Sunil Arora (61) as Election Commissioner. He will have a tenure of four years in the Election Commission. His appointment comes after former CEC Nasim Zaidi’s retirement in July 2017. The Election Commission operates under the authority of Constitution per Article 324, and subsequently enacted Representation of the People Act. The Chief Election Commissioner of India can be removed from his office by the Parliament with a two-thirds majority in both the Lok Sabha and the Rajya Sabha on the grounds of proven misbehavior or incapacity. 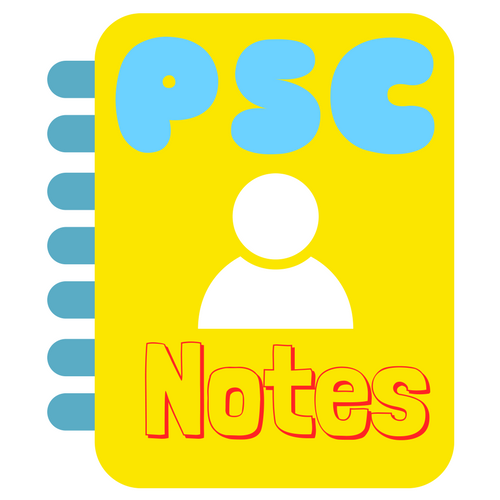 Monitor and Control of all elections to the local government bodies(panchayat, municipality etc) vest with the State Election Commissions as envisaged in Article 243K and Article 243ZAof the Constitution of India. Election commission of india comprises 3 members, One Chief Election Commissioner and two additional Commissioners. Sunil Arora is 22nd Election commissioner of india. 1st Election commissioner of India was Sukumar Sen.